16" TALL, 12" WIDE & 1 3/4" DEPTH. FITS CASE SIZE 11' BOTTOM TO PEAK, 7" ACROSS BOTTOM AND 11' ACROSS ROOF LINE. LEAF TIP HAS BEEN REGLUED UNDER RABBITS HEAD. SEE PHOTOS. 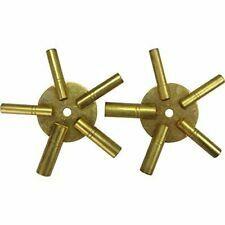 Clock Weights from 1820’s Pillar & Scroll Eli Terry designed & made by Seth Thomas Clocks. I think..... Weights are 2.5 & 3 lbs. B 762. 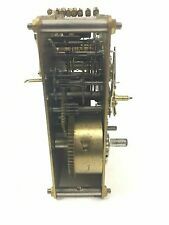 CLOCK MAKER 20 VINTAGE CLOCK WINDING KEYS WATERBURY MORE. ONE OF THE KEYS IS MARKED WATERBURY, A HP GERMANY KEY ALSO 2 KEYS WITH #7 A # 8 AND 2 MARKED #65. 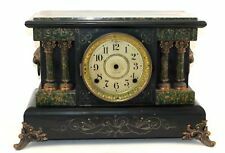 New ListingWaterbury mantle clock replacement parts - brass dial + bezel w/ glass 5-1/2 in. Continuous sweep motion, no stepping of gears, and ultra quiet. Threaded shaft is 1/4" so your dial cannot be thicker than 1/8". Threaded shaft is 1/4" so your dial cannot be thicker than 3/16". 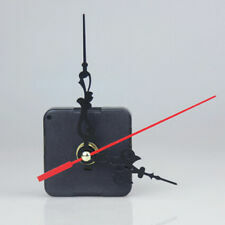 Or use this kit if you want to make a DIY clock you designed. 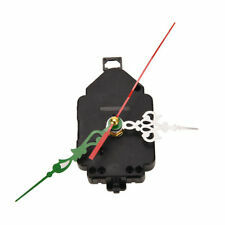 VIENNA REGULATOR CLOCK PENDULUM BOB 5-3/8" - 2 lbs. 4 oz - ANTIQUE - SP660. 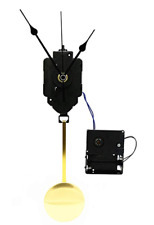 For your consideration we have an antique clock pendulum bob. The bob weighs about. If you are just trying to fix a watch or clock without knowledge of how to do so, we suggest that you seek out professional help. Not included: pendulum bob. Tested working for 48 hours. 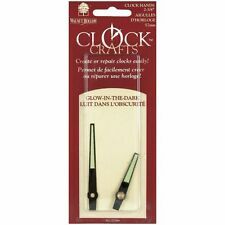 Perfect for your Schatz clock repair! On that side you’ll see the numbers 1,2, etc. Each hash mark equals 1mm. Easy Peasy! Pre-owned Howard Miller Dial face and Glass bezel with top mount hardware. No scratches to the glass. Attaching nails included. There are 166 parts in these photos plus 5 more that I found after the photos were taken that I am adding to the lot for a total of 171 parts. I believe that most of these are used parts for anniversary clocks. Weight's from left to right is 9, 9.4, 9.6, and 9.8 ounces. It is in as found condition. There is a small chip on the porcelain at the bottom right. 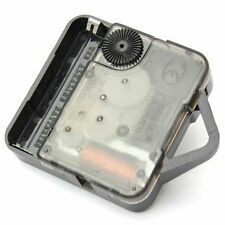 It does tick with a pendulum on it when held. It will need serviced. 2" between the winding arbors, 1 9/16" from the center hole to the winding arbor. The pendulum weighs 2.4 ounces. 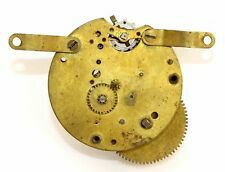 If you are just trying to fix a watch or clock without knowledge of how to do so, we suggest that you seek out professional help. 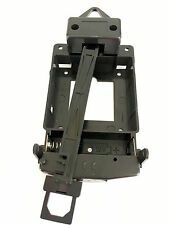 This can lead to be an expensive proposition if you to repair work with out that knowledge.